It’s the one thing that I think is a burden when you’ve got a wallet full of spare change and plastic cards that could all be electronic. A couple of situations occurred last week that made me realise of why the wallet should disappear. It’s reached the point at a coffee shop where they know what drink I’ll be having, and if I’m taking it out or not. It’s a routine that I’ll go order one on the way to work, and be on my way. But on one particular day, I forgot my card. No card = no coffee. And so I had no choice but to walk back to the flat, find the card, put the card in the wallet, and go back to pay. Another example is when I’d refuel my supply of Gin, and rightly so, being asked for ID. I didn’t have any, and so I was denied my Gin. I had lost my driving licence earlier in the year, and I didn’t think I had the face of a 15 year old still, so I went without one, until I got asked. Since then, I’ve been carrying my passport around just in case. So on top of my wallet, my iPhone, and my keys, my passport has to be carried until I get my licence sent back to me. But in this day and age, it shouldn’t be like that. Contactless payments have had a first step with debit card being able to tap a terminal, and the payment is taken, without any PIN being remembered. 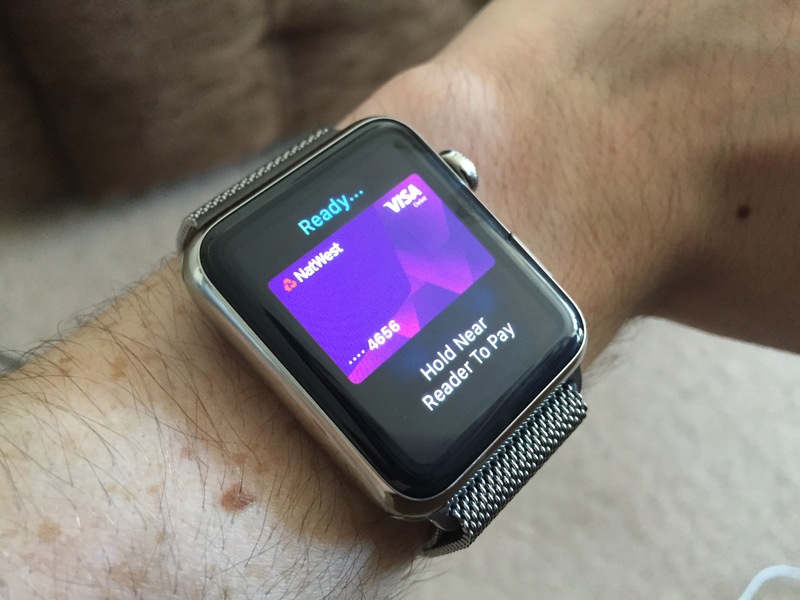 Yesterday, Apple Pay launched, which allows an iPhone 6 / 6 Plus or Apple Watch user, to tap their device onto the same terminal, and payment will be taken. It’s a useful service, and it eases that chore of carrying a wallet up to a point. The drawbacks for now are that it still has that £20 limit, and it’s not implemented everywhere, the big three supermarkets especially. Morissons announced today that they were now accepting it, which should encourage the others at least. I did try it at a Wetherspoons pub on the off chance on their contactless reader. It seems that it’s just a simple software update, so I thought, maybe it’s going to accept my gin. But no, it said declined even though the Watch gave a tick. Hopefully soon, with their hundreds of pubs across England, it makes sense to implement it in time. it does make you think, that there’s many scenarios that can help instead of having your wallet out in full view. For one, if you’ve had a few too many, and you’re searching for that crumpled up ten pound note in between moonwalks on the dance floor, there’s every risk you’ll lose the money, or even have your wallet taken without you knowing. But with Apple Pay, you tap the reader, and thats it. No risk, fast, and you can moonwalk with no issue. Of course, the £20 limit remains, although it’s being raised to £30 in autumn. 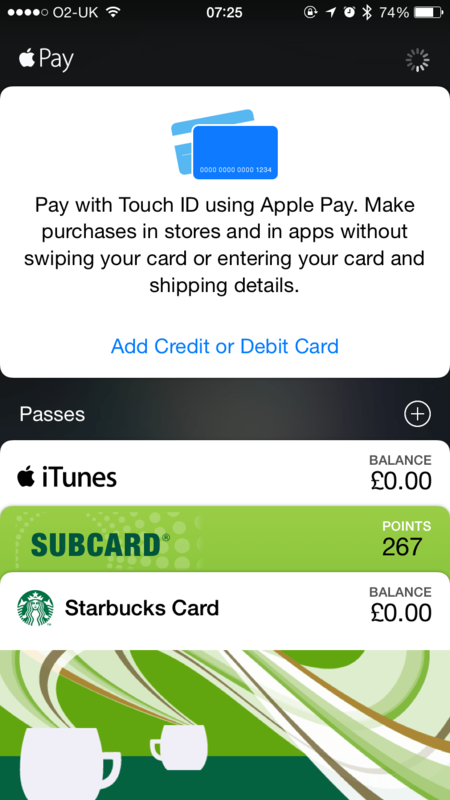 There’s also a site that is constantly updated of places that offer Apple Pay, and if they have a limit or not, which can be found here. It does say Wetherspoons supports it, so whether my local is having glitches or it’s yet to be official, time will tell. To note, there’s no fear in that scenario of having your Watch or iPhone stolen with your card details, as they both require a passcode, and they can both be erased by the ‘Find My iPhone’ app or site on iCloud.com. It’s a much better method than carrying notes and change in a wallet, and having that taken away in an instant. Overall, it’s a great first step, and I do hope that a similar service will appear for proofs of ID, such as your Driving Licence or Passport. We’ve got a lot of information on our devices that are very personal to every one of us, photos, videos, that one text message, so why not the identifications that further proof who we are.